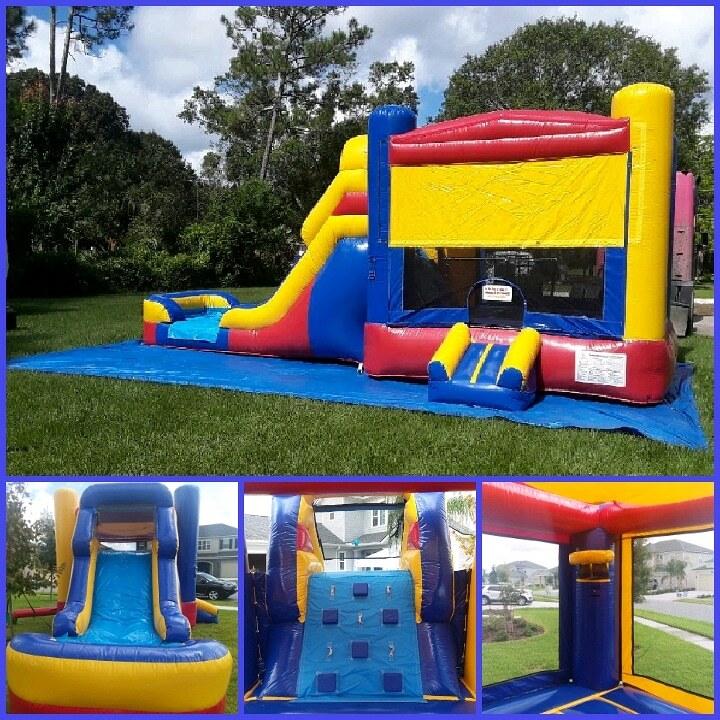 Bounce House & Water Slide Party Rentals | Palm Coast, St Augustine, Daytona, Ormond | FlaglerBounce.com Palm Coast FL. 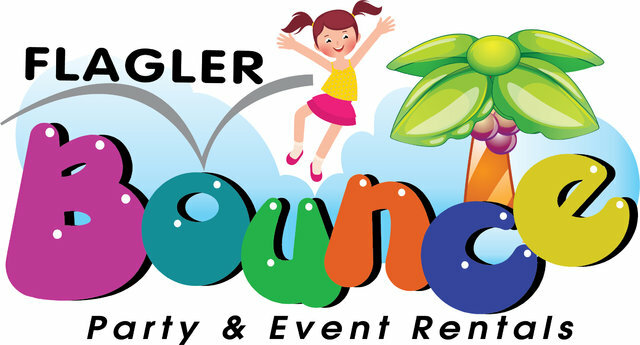 Flagler Bounce is Palm Coast's Florida's leading provider of exciting Inflatable attractions. 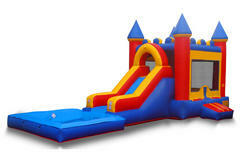 We offer Bounce houses, Bounce & Slide combos, Water Slides, Obstacle Courses, and Party Packages to meet your needs. We provide delivery service throughout Flagler County, Volusia County and St. Johns. Including the communities of Palm Coast, St. Augustine, Daytona Beach, Ormond Beach. We always show up on time and provide free setup. . 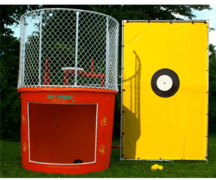 The Retro Combo features a 13' x 13' jumping area, basketball hoop, climbing wall and a slide. 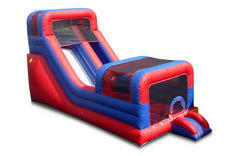 From the bounce area there is access to the ladder climb, leading up to the top of the slide. This unit will match well with any theme party. 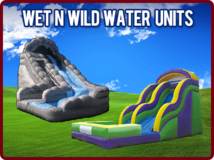 Guaranteed to bring a fun filled day to your kids and their friends! 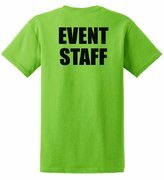 Making your event reservations at Flaglerbounce.com is fast, and easy with a new online reservations system. It's safe and secure so you can be confident of online experience. 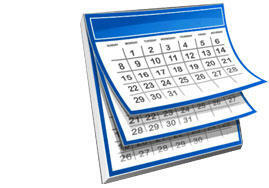 Just click the "Get Started Here" button below and enter your event date and time. Then as you browse all the cool stuff on our site, you will be presented with those items available on your selected date. Find something you like, and click the "Add To Cart" button on every product page. When you're finished, just complete the checkout process and you're done. Let's get your party started now!